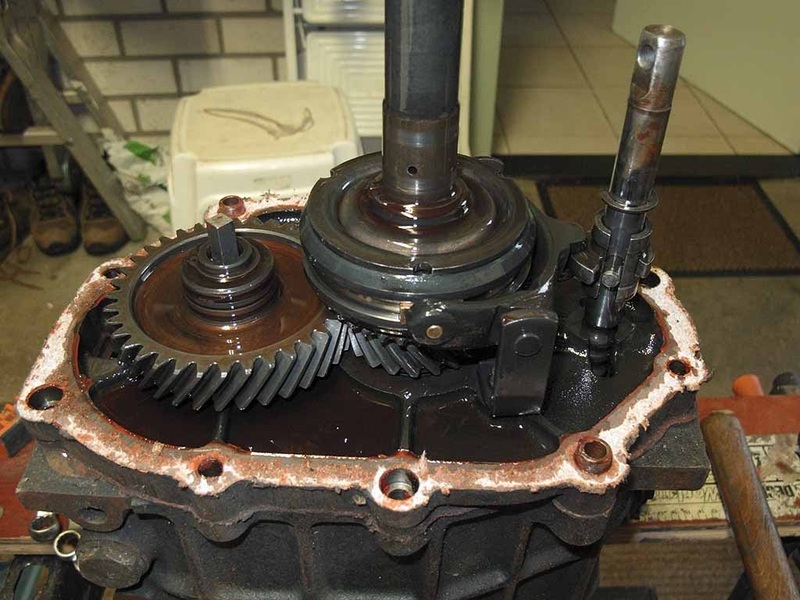 I’m rebuilding my gearbox and I’ve bought a NOS Layshaft Gear Cluster (RKC5415) to replace the worn out original (TKC1577), they look identical other than a slightly wider reverse gear but it should fit ok. The confusing thing is that it has a circlip retainer and not a nut which blows the 5th gear design info from online parts suppliers. I was going to change the 5th gear for more relaxed cruising but they all seem to have 36 teeth, I’ve read about the late FI cars gearing but there is nothing listed, are the gears I need from another vehicle Range Rover, Discovery etc? It would also need to be compatible with the layshaft fixing nut/circlip, or would it? The third type (RKC5099) from VIN 402028 – who knows? When I look in the original BL TR7 parts manuals all layshafts (3 different numbers) depend on a circlip for retaining the 5th gear. So wondering what online parts supplier you are using! The Layshaft Info was sourced from the Rimmer Bros website. You are correct the BL parts manual doesn't list a nut, strange how they changed the 5th gear design at that stage of production, can't see a reason as the gearing didn't change. Could be Rover SD1, at least never seen in the TR7 'boxes I have had open over the years. 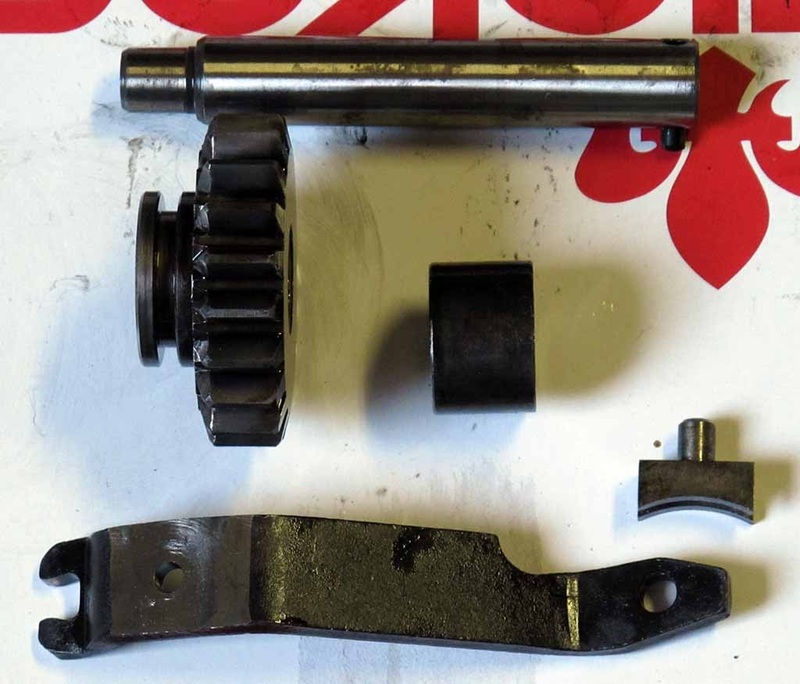 You may be correct about the error, but the picture is for the service kit which would have been offered after TR7 production had stopped, hence the discovery or SD1 layshaft being included and then a later threaded type as shown in the picture. This approach would ensure backward compatible parts supply as the LT77 changed. The 5th gear is still a mystery though. This Factory kit replaces TKC1577 if unavailable. Includes; Laygear cluster (RKC5415), 2 bearings (ULC1796) & 5th speed gear (TKC5317). 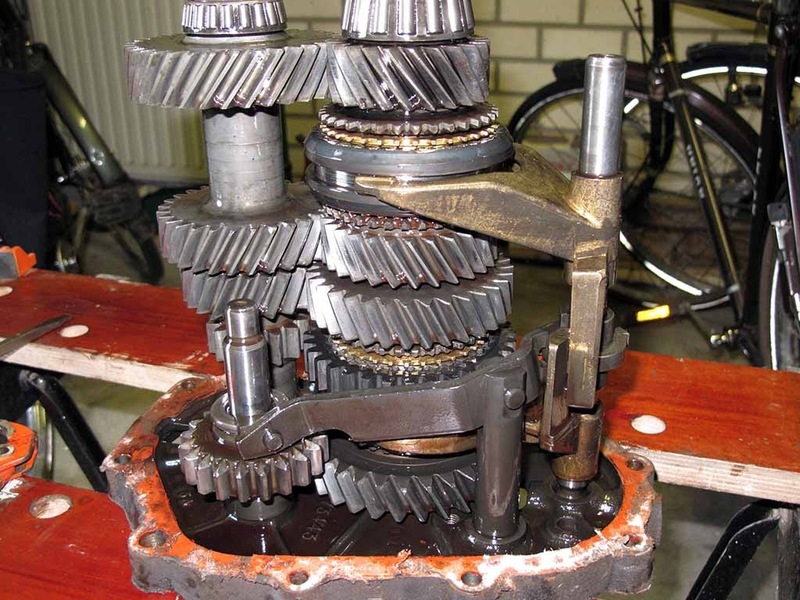 I've bought a late 5th gear set just to see the difference, the mainshaft has one tooth less (19) but the layshaft gear has the same number of teeth (36). Fitting this pair of gears should change the 5th gear ratio from 0.83:1 to 0.79:1 which wont make a great deal of difference but hopefully it'll stop me looking for 6th . I might buy another gear to get 0.77:1, and I'll probably go for 55 profile tyres to fill the arches which in addition to the gearing change should lower the revs sufficiently. Were BL having problems with slipper pads coming out under warranty? Fit the slippers and secure with a spring each side of the synchromesh. NOTE: The hooked end of each spring must locate in the same slipper with the free ends running in opposite directions and resting against the remaining slippers. Also there is nothing about taking the direction of rotation into account. I would go with the later manuals myself as it would keep even pressure on each side of each slipper pad. Also in the manuals, the exploded view of the mainshaft shows the inner part of the 1st/2nd synchro the wrong way round. There is also an even later 5th laygear FTC1359 with 41 teeth from the G/H boxes. Please keep us posted on your progress - I've been planning to try to lower the 5th ratio when I rebuild mine, and have scoured the web quite a bit but the info on parts interchange between the LT77 variants is pretty slim. I found the Rover forums and Rover parts vendors to be more useful than the Triumph & MG sources for this but that adds uncertainty about what crosses over between 2WD and 4WD. Yes I'm sure a few people will wait to see if my gearbox blows up. Not sure if the latter suffix gear would work, remember they were a matched pair, anyway I think 0.77 will be fine as it's been tried and tested in a few vehicles. I'm building what is a new gearbox really. All gears will be replaced apart from 3rd which was perfect, new synchro hubs, mainshaft, input shaft, layshaft, synchro rings, bearings and seals. Quite a few TR7 Leyland numbered parts are no longer available so I'm fitting Land Rover parts such as the synchro hubs, layshaft and 5th gears, it expensive and time consuming but I don't trust anyone else to rebuild it. Just check compatibility before fitting, the defender 1st/2nd synchro has a wider gear but that's okay as it'll match the layshaft. Be prepared to shop around, so far I've bought parts from the UK, Italy, France and the USA. In addition to the issues I've mentioned above check the width of the bearing you are fitting when setting up for float measurement. Rather than following the dimensions given in the manual for the dummy bearing, there may be a slight difference, mine was 0.4 mm less. Our apprentice will be helping out so I should have quite a few pictures by the time it's done. I'm just waiting on the 2nd gear to arrive from the USA and then I'll just need two more original Synchro rings and that'll be it. It's difficult to find useful info online as most information skips over the blood and guts issues I've mentioned and just repeats the obvious stuff. Unless you've found answers to my questions? I used parts (including baulk rings) for a Land Rover LT77 'box when I rebuilt the 'box that's in my Sprint powered FHC. Bearings were measured and renumbered to locally sourced SKF and/or FAG bearings. I've managed to resolve some of the issues mentioned previously but before I fit the gearbox casing I thought I would ask you guys that have rebuilt your boxes if you noticed a front spacer on the reverse gear shaft. The manuals all say to fit the front and rear spacers along with the gear but there is no front spacer listed for (C) suffix boxes, only for suffix (D) onwards. If there was one fitted I've lost it, I think this may be yet another error in the manuals, does anyone remember if their box had one fitted? In the Dealer Training booklet for the TR7/8 gearbox there's no mention of a front spacer.